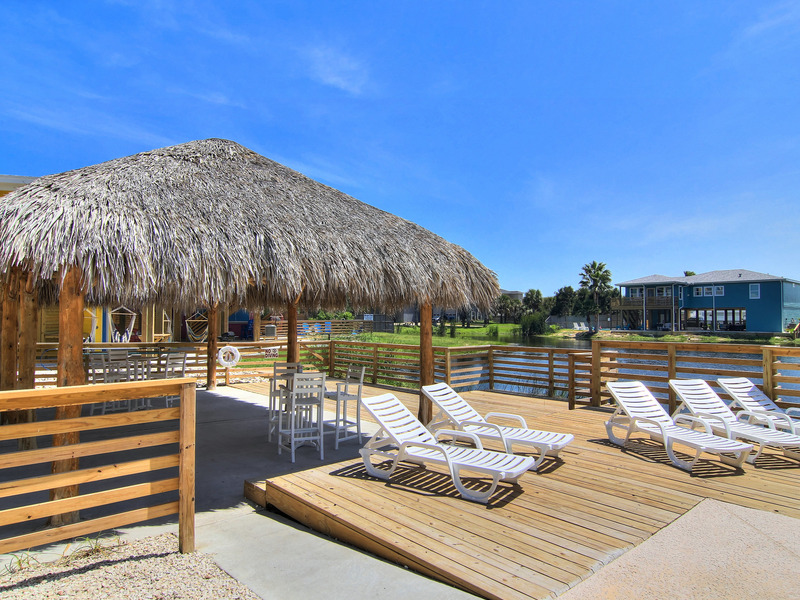 Wet-N-Wild is definitely your full service rental home. 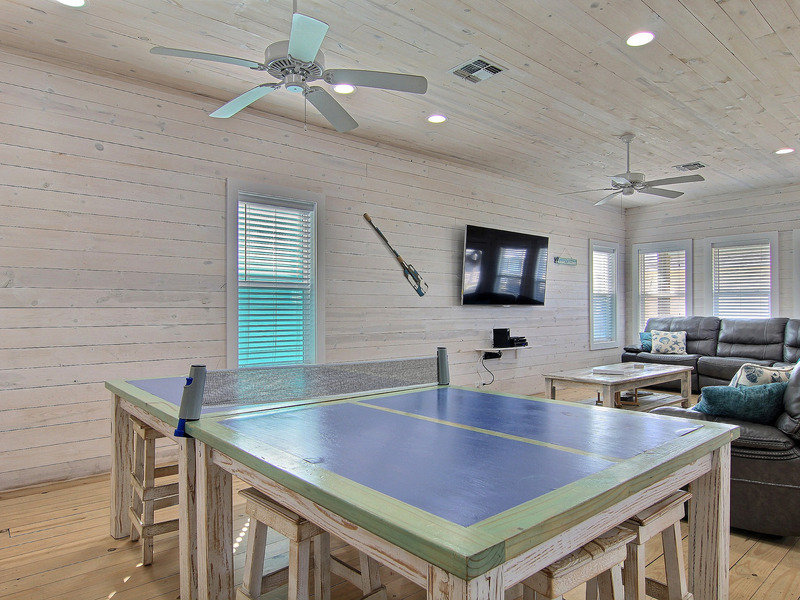 This property comes fully equipped with a ping pong table, 50" outdoor patio TV, commercial ice maker, two picnic tables, Catch and Release Fishing Pond, *Two FREE golf carts-4 passenger each, and much more! 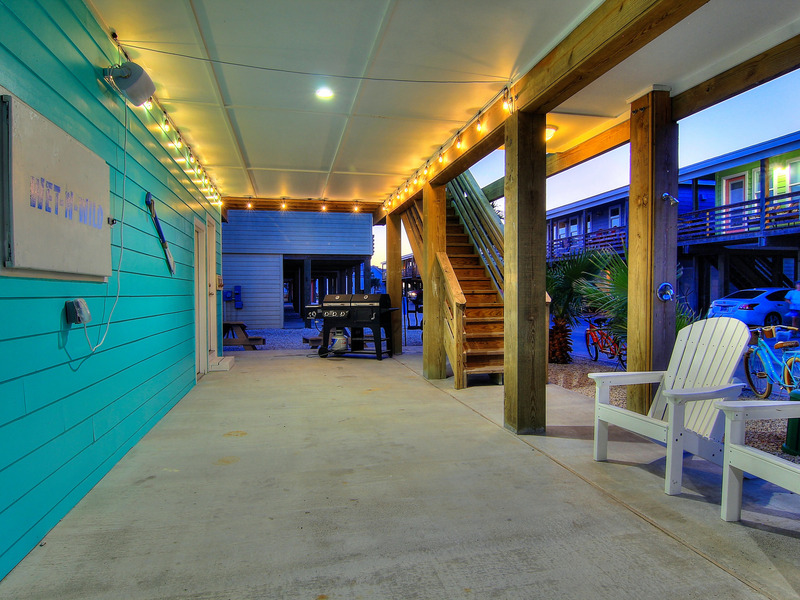 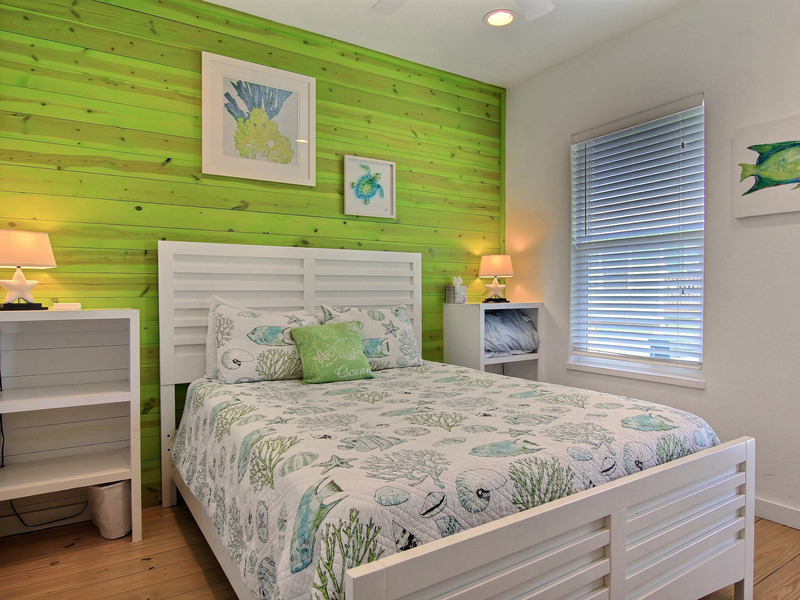 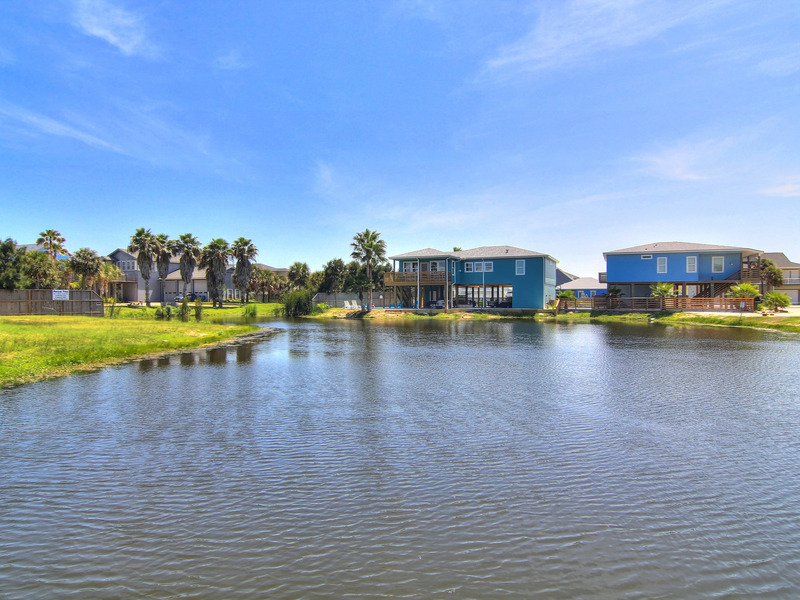 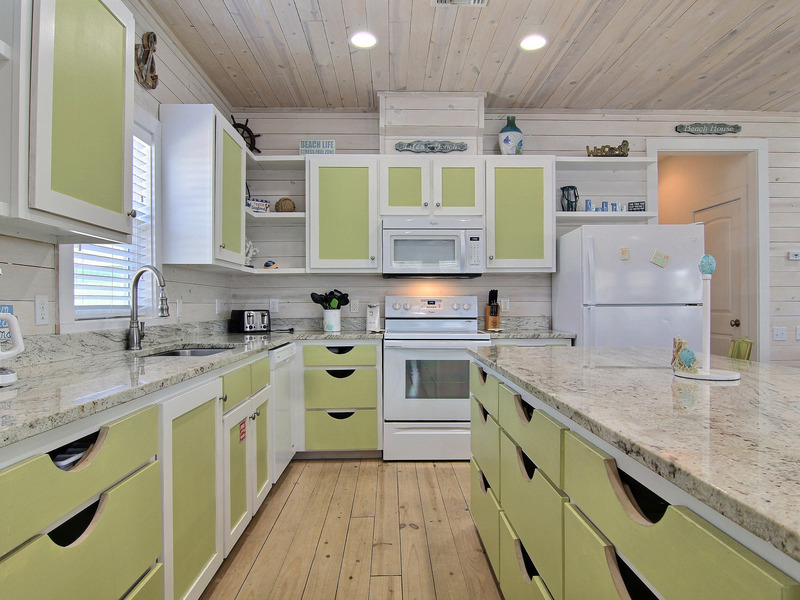 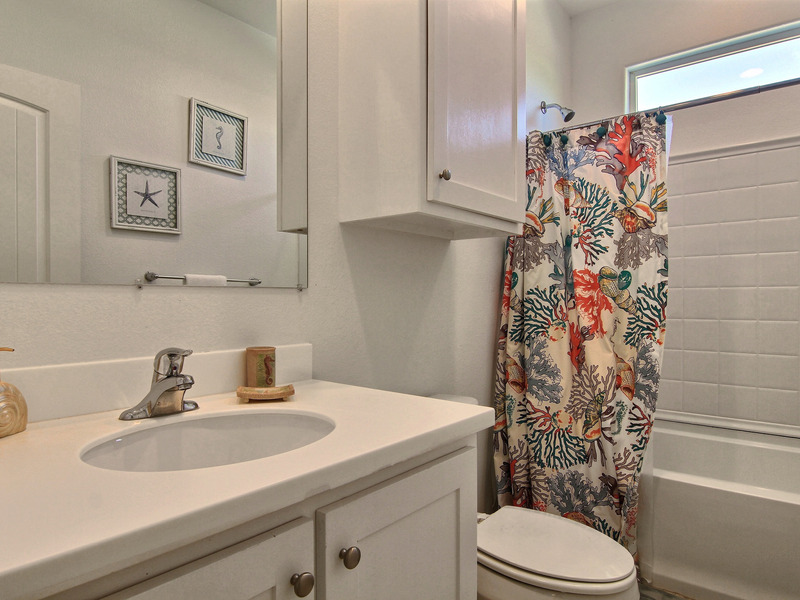 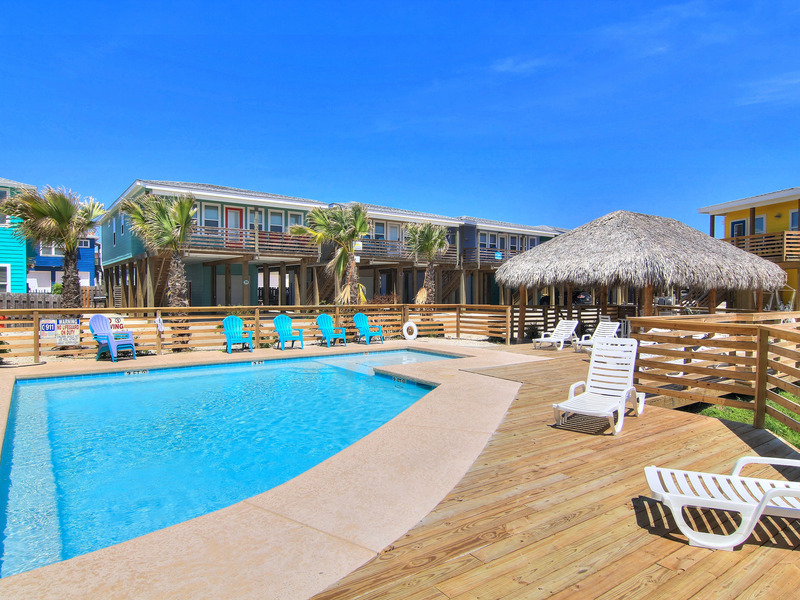 Island living is made easy in this classic-contemporary four bedroom, Port Aransas home. 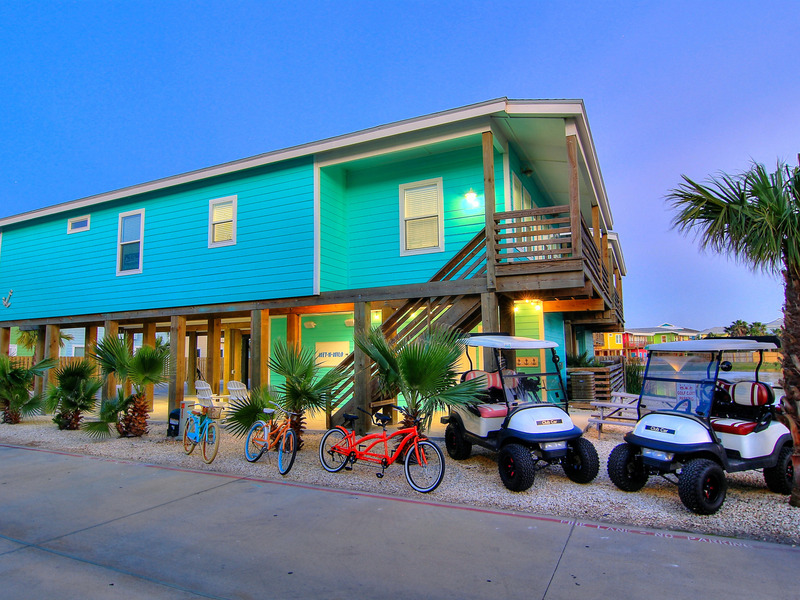 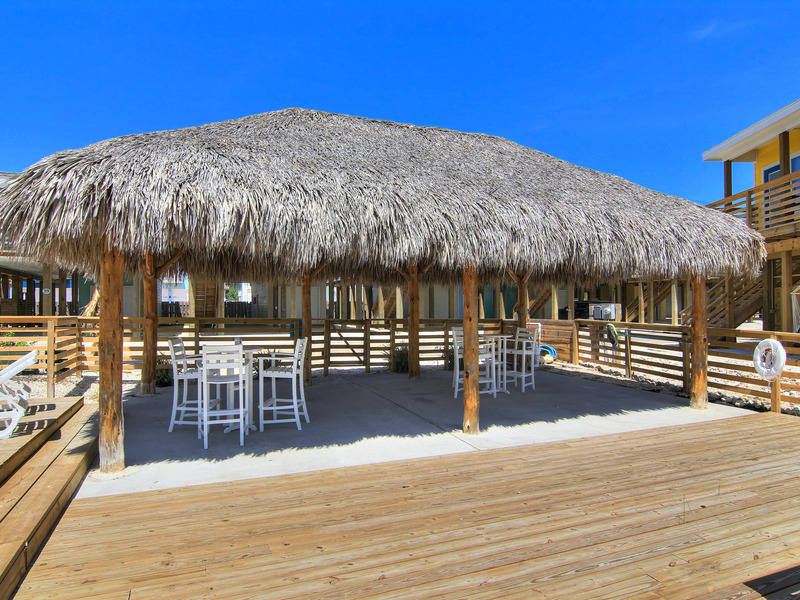 The exclusive Wet-N-Wild island style home is perfectly nestled in the NEW Ocean Village neighborhood. 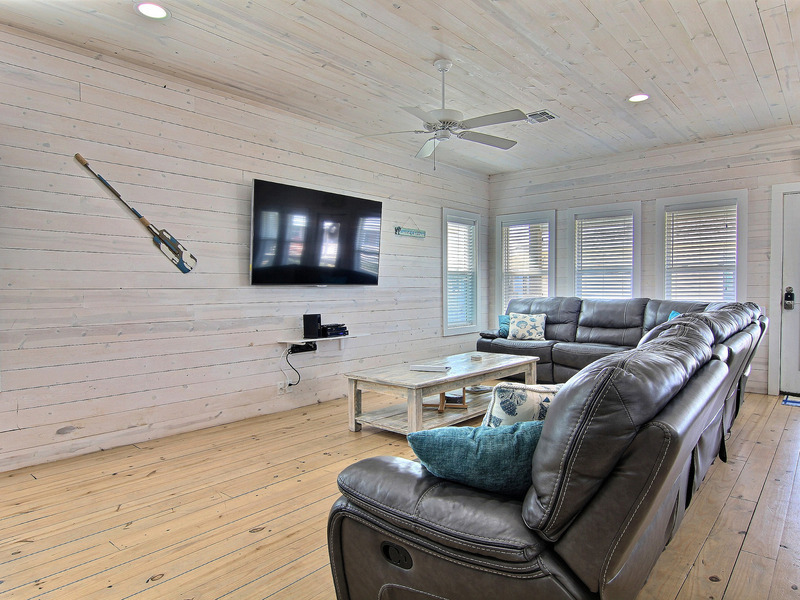 This vacation rental property offers a dramatic and spacious layout with features and details that include high ceilings, lots of windows and a second floor balcony overlooking the private pond. 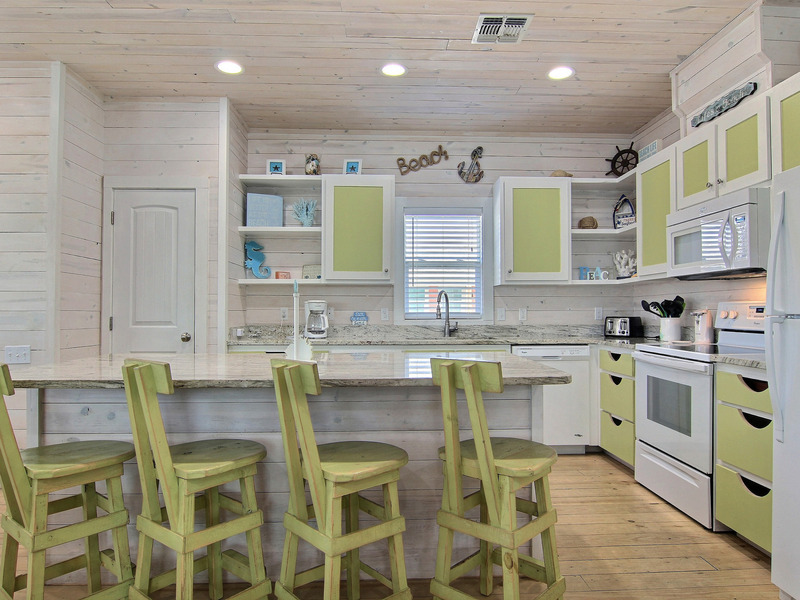 The layout is comprised of the living room, open living/dining kitchen with breakfast bar. 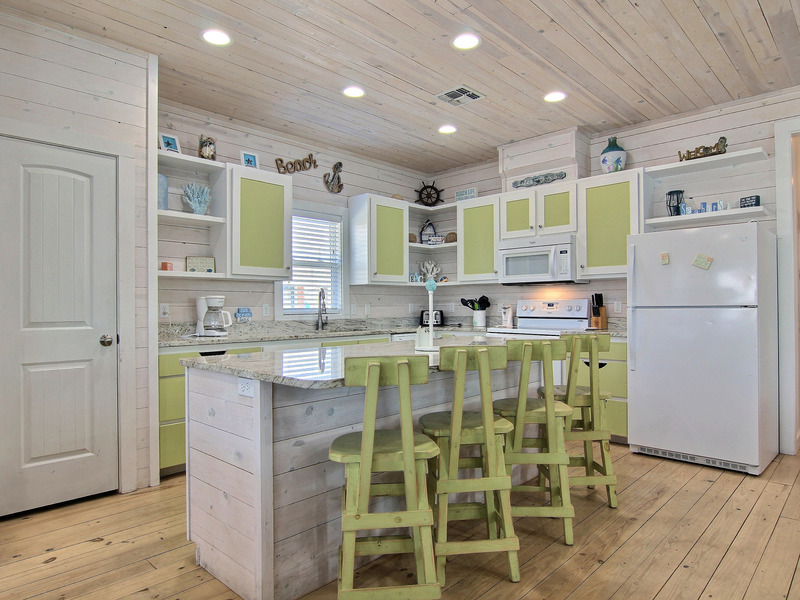 The living area is set in soothing colors that blend harmoniously with the rest of the house. 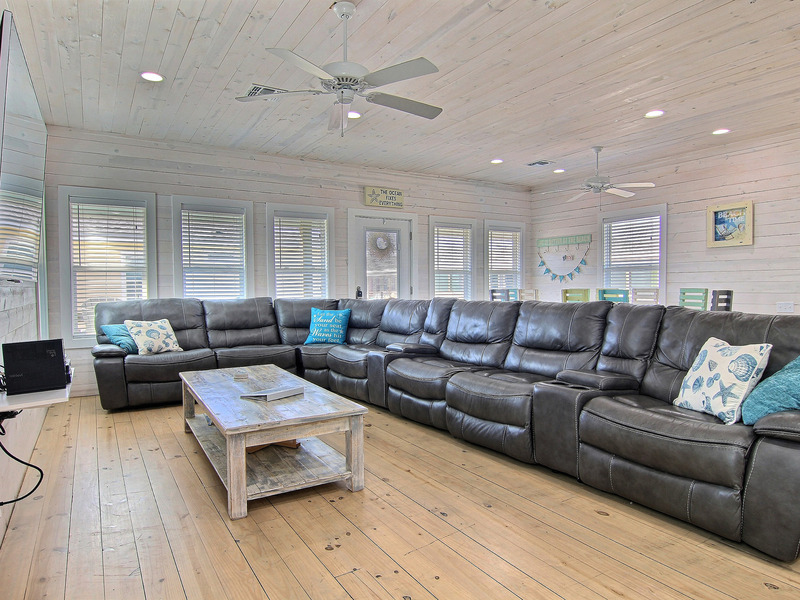 Enjoy your favorite shows on the 70" flat screen TV while relaxing on the 27ft wrap around leather sofa. 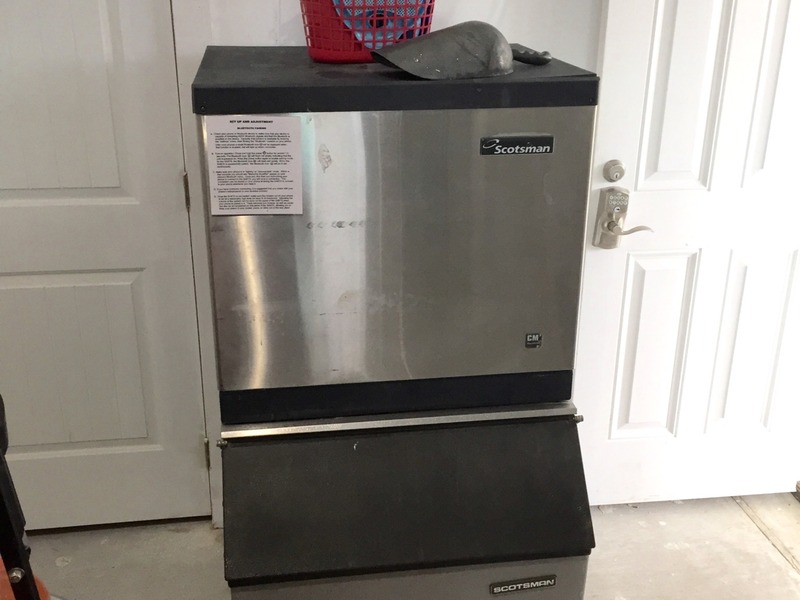 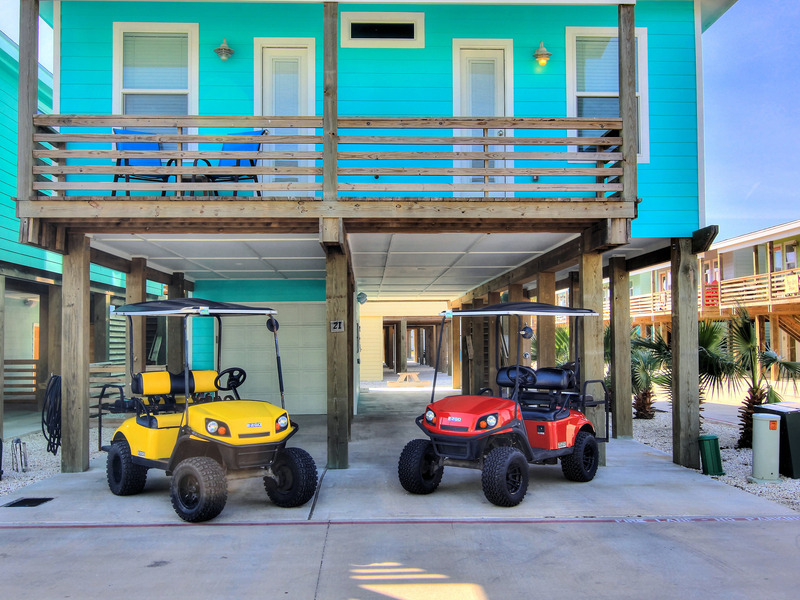 Have fun playing the board games provided with this rental. 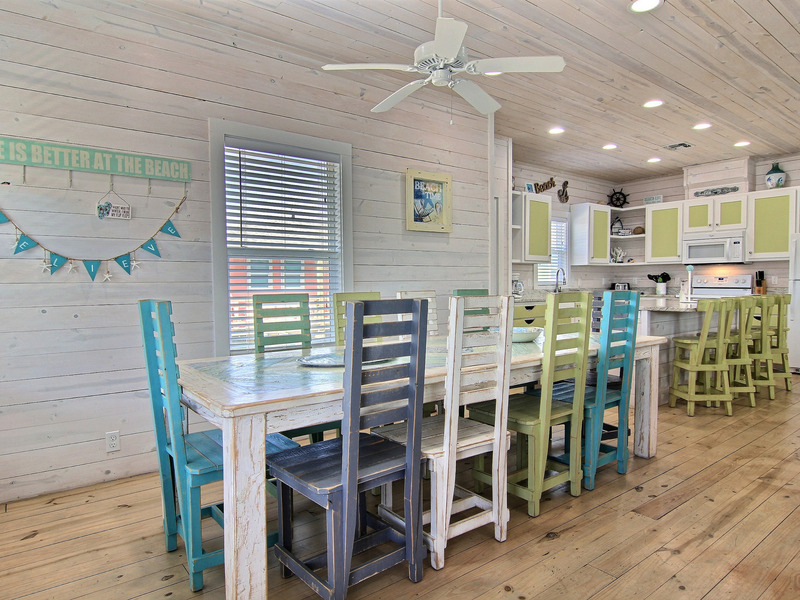 Dining up to 20. 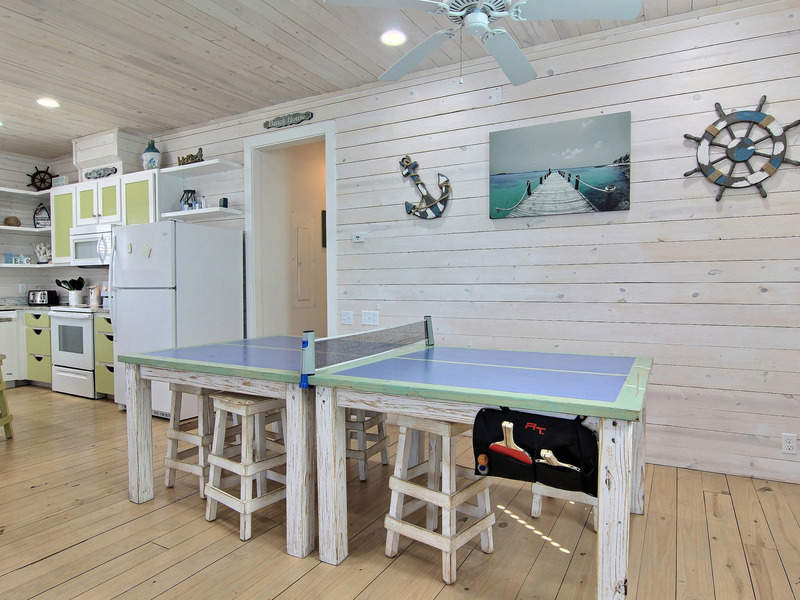 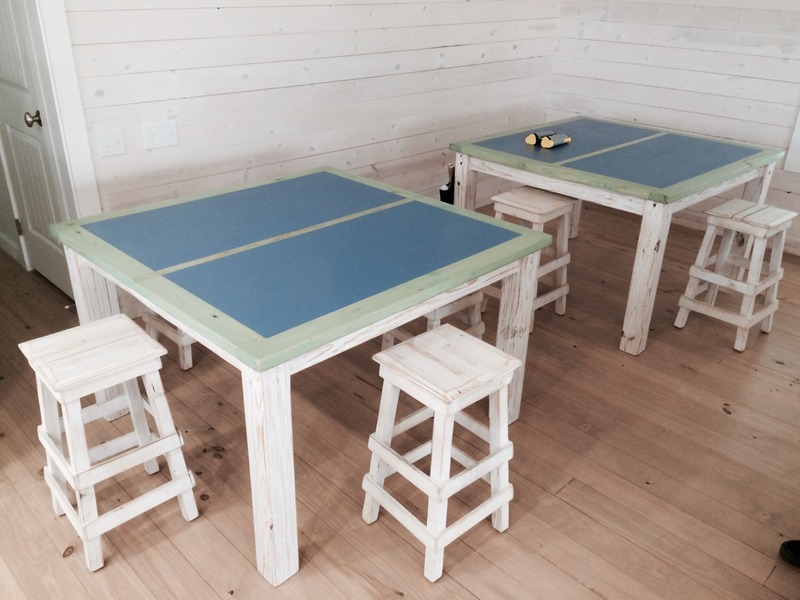 The main dining table has seating for 10, additional ping pong table that converts to card table to dining table seats 6, with an additional 4 at the breakfast bar. 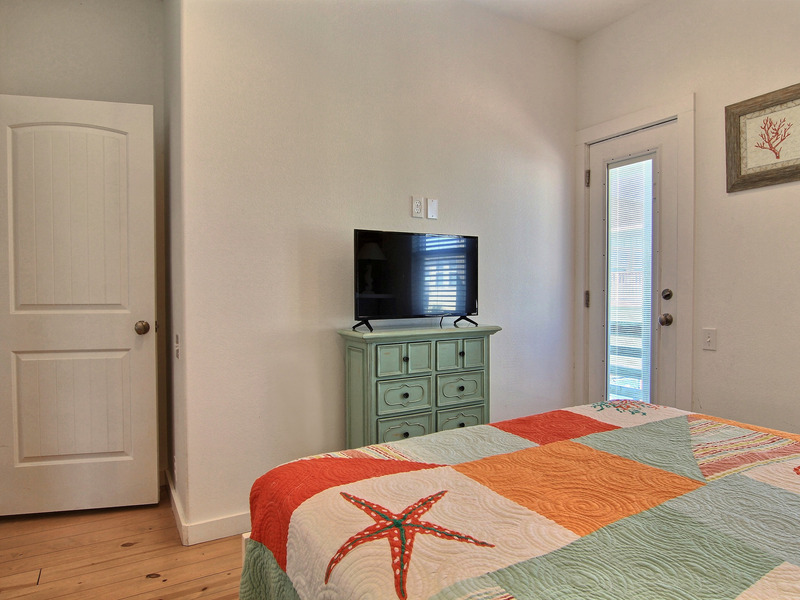 The master bedroom provides a plush queen size bed with a flat screen TV and full en-suite bathroom. 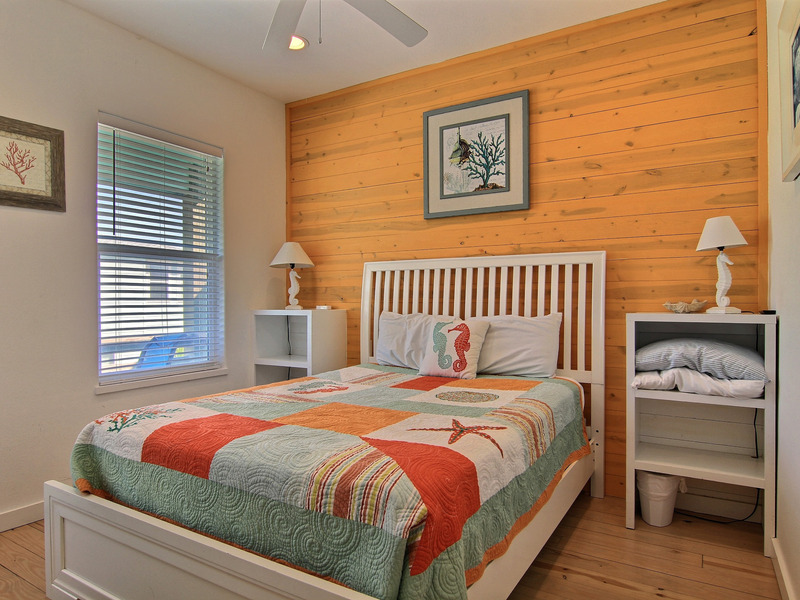 The second spacious bedroom is furnished with a queen size bed. 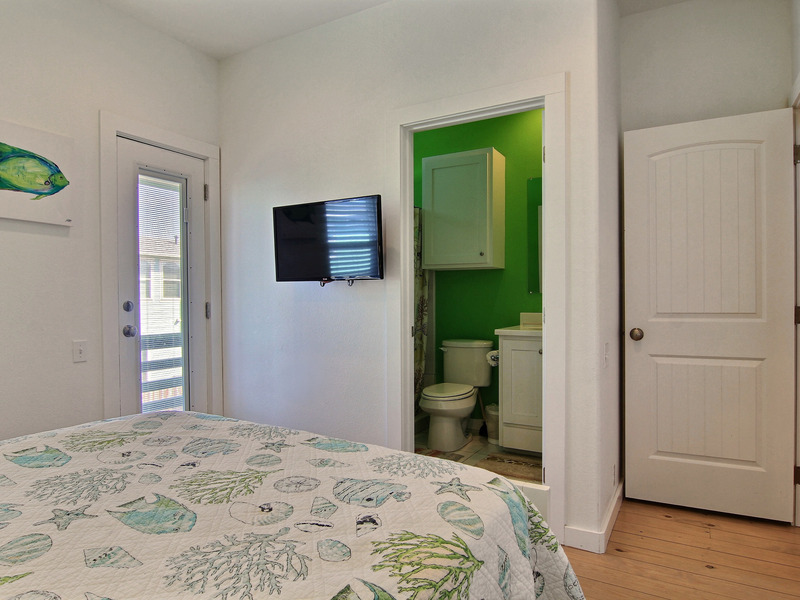 Enjoy another en-suite bathroom and flat screen TV. 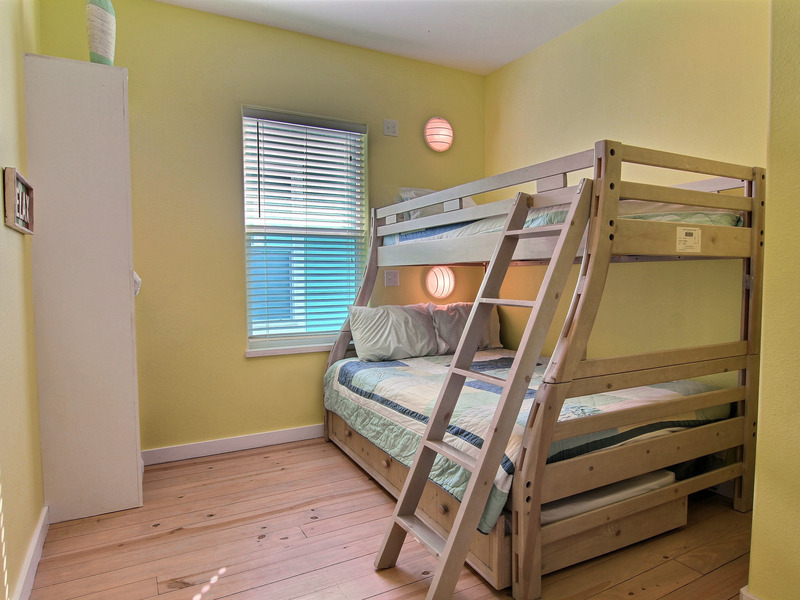 The third bedroom has a set of twin over twin bunk beds and a flat screen TV. 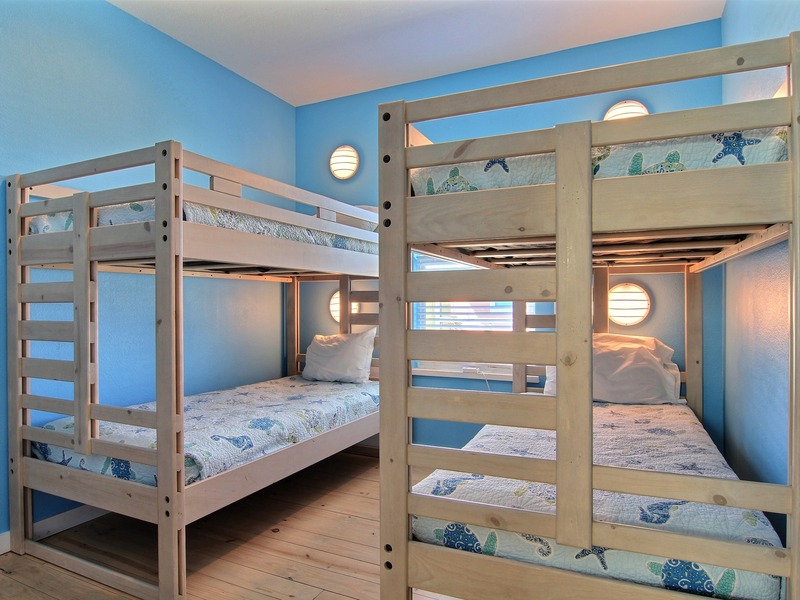 The fourth bedroom has a twin over full bunk bed with a twin trundle. 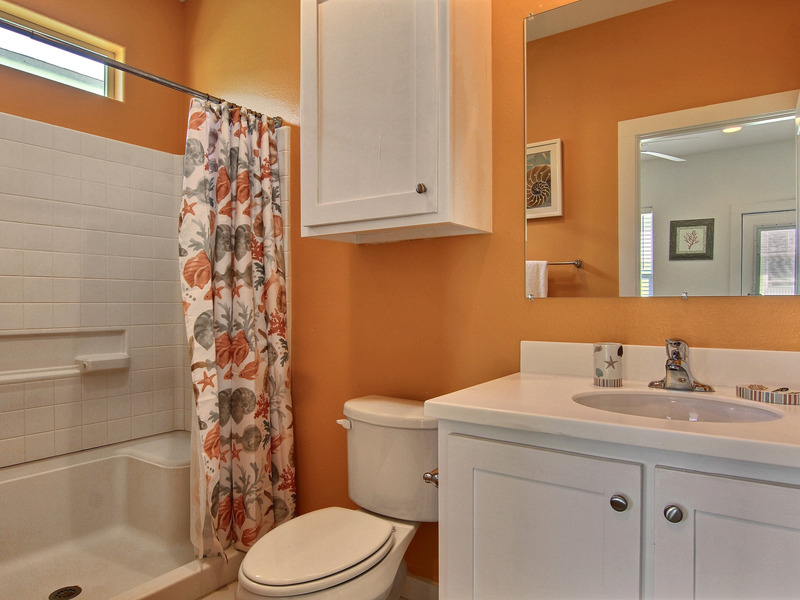 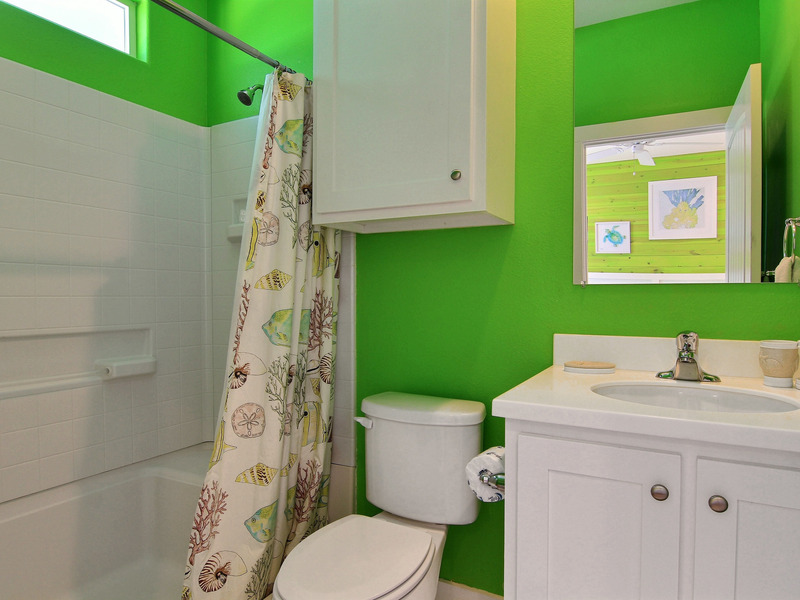 The third full bathroom is shared by the third and fourth bedroom. 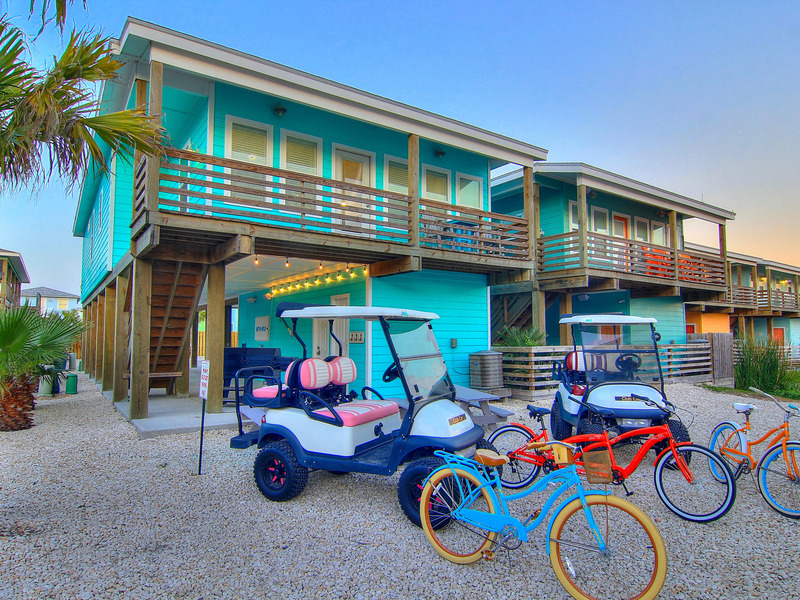 Additional Amenities: Flat screen TV's, TV's in every room, Close to Beach, Catch and Release Fishing Pond, WiFi, 3 Bikes, Pet Friendly, Board Games, Private Balcony overlooking a pond, Washer/Dryer, BBQ Grill, Commercial Ice Maker,, Towels & Linens, Ping Pong Table, Concierge service available, Available Golf Carts to rent. 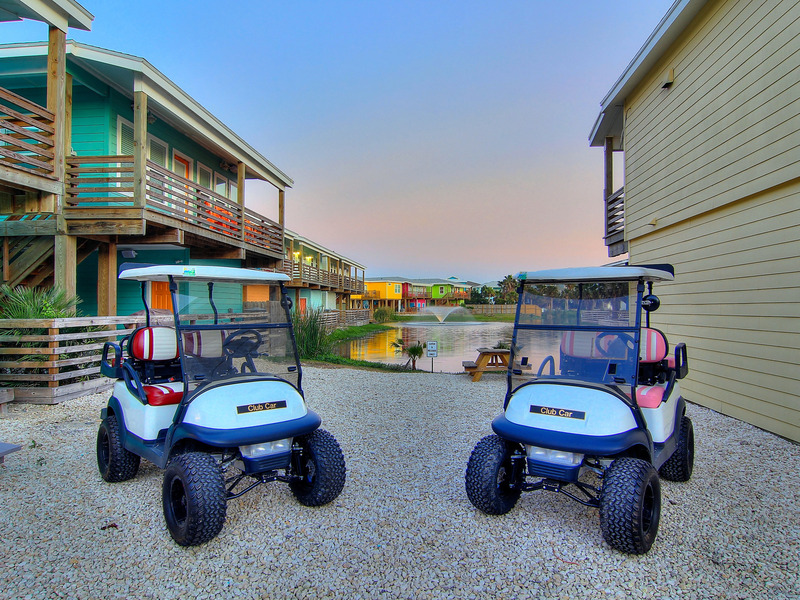 Entertainment : Satellite TV, Ping Pong Table, Golf Cart with rental, Golf Cart Available, TV's in Every Bedroom, free WiFi, 2 free CARTS w/MP3 Players, 6 Flat Screen TV's, USB Charging Station.